Subtitle: In another grotesque parallel with Nazi Germany, American society continues to lurch along a parallel path to Nazi Germany's "Life-Unworthy-of-Life" concept that directly killed millions and led to the forced deaths of tens of millions. Does anyone remember that Hitler's Holocaust started a decade before he took power and was implemented by physicians all along the line? "PORTLAND, Ore. (AP) -- The state's landmark right-to-die law has survived a second challenge in federal court by the Bush administration and supporters hope that means the 10-year battle over the law has finally been settled. In a 2-1 ruling Wednesday, the 9th U.S. Circuit of Appeals in San Francisco said Attorney General John Ashcroft cannot try to undermine Oregon's Death With Dignity Act by prohibiting doctors from prescribing lethal doses of federally controlled drugs ... The act, which allows terminally ill patients with less than six months to live to request a lethal dose of drugs, has been approved twice by Oregon voters and has now survived two federal appeals court challenges. In the six years the law has been in effect, 171 terminally ill patients - most of them suffering from cancer - have chosen to ask their doctors to prescribe a lethal dose of drugs. Under the safeguards required by the law, at least two doctors must decide the patient is dying but still mentally able to make the decision to take the drugs by himself or herself." Let us stop right here, to understand the tremendously ominous paragraph we have just read. Adolf Hitler would be most proud that the systematic campaign being waged in this country on behalf of "Right-To-Die" advocates seems to be wildly succeeding! And, now it has taken the turn that we Radical, Fundamentalist, Bible-believing, Reactionary Extremist Christians have been predicting all along! We have repeatedly demonstrated that the coming New World Order is simply and only revived Nazism hiding behind a mask of normalcy, of world Peace and Safety, of compassion and love. But, hiding behind that mask is a face as bleak and terrible as that of Adolf Hitler! We have read the Plans for The New World Order, from 1776 onward!! We have seen how their plans call for precisely the same goals as did Nazism. We have further examined the Nazi religion and the New Age religion, discovering over 40 common points of spiritual belief and world goals. For a concise review of this comparison, you may download Program NEWS1004, "Parallels Between Nazism and the Bush/Clinton/Bush New World Order". When people believe the same spiritual doctrines, share the same world view and the same goals, you have to assume that they will attempt to move in the same direction. Make no mistake, the New World Order is virtually identical to Nazism!! The feared Nazi Wolf is back! Dr. Kevorkian worked very hard a decade ago to spearhead the American effort to convince at least a strong minority of Americans that Deathmaking among the elderly and the sick was noble, courageous, and normal. He succeeded more than most people have realized, thus opening a historic opportunity for a national American holocaust. Remember that famous statement by a historian, "Those who do not learn from history are doomed to repeat it?" Not only is it true, we need to glance backward in history to see how frightened we should be of this news story from Portland, Oregon! After World War II, peoples throughout the world, but particularly in the United States, were absolutely appalled at the Nazi Death Camps, where millions of Jews and other people who were "unworthy of life" were systematically murdered. Jews, especially, were so revolted that they pledged "Never Again"! They embarked upon a major effort to ensure that no madman could ever again wreak such havoc and death upon them. Several Jewish historians began a major study of Germany's history, culture, and institutions, to determine how this Holocaust had occurred in Germany, so that they could identify the beginnings of a change that might produce another Holocaust. If they identified the beginnings of such a societal change, they would immediately raise the alarm, so that the society thus being changed could stop the changes in its tracks. Education of normally "good" people was the key to ensuring that the Nazi Holocaust would never happen again. Surely, they reasoned, once normal, good people understand that their society is changing in such a way as to possibly produce another Holocaust, they would rise up as one to demand an end to the process of change that might lead to another Holocaust. Thus, "Never Again" would another mass killing be allowed to happen. Since this is the thinking of many Jewish leaders and historians, why aren't we seeing the Jewish Defense League screaming their lungs out against this insidious creep of acceptance of Deathmaking of elderly and sick people? Just such a gradual acceptance occurred in Germany from 1925-1938 that allowed Hitler to carry out his ultimate Deathmaking, the Holocaust. An excellent resource book on this subject is Robert Jay Lifton's book, "The Nazi Doctors: Medical Killing and the Psychology of Genocide," Basic Books, Inc., Publishers, New York, 1986. Lifton carefully and thoroughly documents the frightening fact of history that Hitler's Holocaust, which killed 6 million Jews and 12 million other people not worthy of life, was begun by doctors in the early-1920's, before Hitler ever came to power. In 1933, when Hitler was in power, he simply committed German Government power and resources behind the medical Euthanasia program, aiding it further by changing German laws to remove any legal barriers against it. But, he continued allowing German doctors to carry out the Euthanasia. Furthermore, once Hitler started his systematic killing, he allowed German doctors to carry out the program!! German doctors, in white uniforms, were killing rather than healing! In fact, Lifton demonstrates that a mental change had occurred in the doctors and "normal" people, where "killing became healing". Words were redefined to where people actually believed that they were healing by killing. Lifton quite boldly asserts that Hitler would never have been able to carry out his Holocaust had it not been for the conditioning effort of the German Medical Establishment. In other words, if the German people had not been previously conditioned by the German doctors to believe in the worthiness of human euthanasia, Hitler would not have been able to kill his millions. Which brings us back to the earlier efforts of Dr. Kevorkian. He spearheaded the effort to convince a substantial number of Americans that Deathmaking is normal, noble, and "courageous". His actions convinced Americans that human euthanasia is desirable under certain conditions. Little by little, day after day, many Americans are subtly becoming conditioned to believe this lie, without realizing that they are changing their attitudes and values. The process by which Dr. Kevorkian invisibly changed people's attitudes toward Euthanasia is a well documented process, called the Six-Step Attitudinal Change Plan. Since you probably have not heard of this term before, please allow me to define it for you, by showing you the six steps by which this plan works. Now, let us apply this Six-Step Attitudinal Change Plan to the activities of Dr. Kevorkian. Step 1 -- The shocking subject so offensive that it can scarcely be discussed in public is human death being caused by another human being. Since America has traditionally been guided by Judeo-Christian beliefs, Americans have always called such killing, "murder", punishable by law. But, this shocking subject was being actively advocated by a "Respected" person, a retired pathologist. And, Dr. Kevorkian carefully shaped his advocacy by claiming a moral high ground. He was actually helping (healing), not killing! Step 2 -- At first, the public was shocked and then outraged. When Dr. Kevorkian began his Euthanasia crusade, people seemed genuinely shocked and outraged. Only a vocal minority supported his views. The American Judicial System swung into action, charging Dr. Kevorkian with murder, even though some experts doubted whether murder laws, as written, covered a situation like this, where adults voluntarily asked Dr. Kevorkian to help them die. Step 3 -- The focus of the discussion very subtly changes. Rather than talking about the subject of human killing itself, many people began to talk about how wonderful, how mature, it was that we could even publicly talk about this sensitive issue. Thus, a huge public debate was stirred up, AND the focus of the debate shifted from spiritual values to secular considerations, i.e., how a person would want to control their own "exit". Step 5 -- People were no longer shocked by the subject. Dr. Kevorkian's trials also had another effect, as well, an effect that is predictable under Step 6. Each "acquittal" has had the result of placing an official Government Stamp of Approval on Dr. Kevorkian's killing. Thus, many more Americans are convinced that human euthanasia is legal and moral. America may have crossed the invisible line in the moral sand that Germany crossed somewhere between 1930-1938, where enough of the population was convinced of the morality of Human Euthanasia that Hitler could kill 18 million people, without fearing a general uprising. And, remember, also, that Hitler also needed several hundred thousand young German men who would be willing to carry out the killing; for this, he would need young men who had been desensitized to the point of cruelty. Such a desensitization had occurred then, and has been occurring in American young men and women for at least four decades, hastened dramatically by Rock Music and a subsequent love of all things relating to death. I believe it quite possible that enough Americans have been convinced by this deliberate campaign to normalize human euthanasia in their minds, that Americans would stand by when another systematic Holocaust is occurring. These are perilous times, dangerous times, when thoughtful Americans should be fighting back, with prayer, holiness living, and speaking out against this madness whenever the opportunity presents itself. Well did the Apostle Paul speak of these times, in 2 Timothy 3:1-13, especially verse 13. Evil men and people who seduce others into evil are, indeed, abounding, deceiving others. Remember, the Bible clearly teaches that the Hallmark characteristic of the Great Tribulation period is deception. This will be unparalleled deception, so good that even Christians would be deceived were it not for the Holy Spirit, Who speaks through us through God's Word, through other Christians, and through our redeemed spirits, to warn us of the coming peril. Do not be deceived. The New World Order is the Biblical Tribulation Period, the Kingdom of Antichrist, as we have carefully documented. 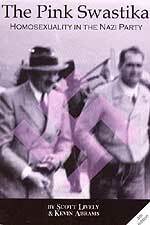 Hitler was a type of Antichrist, with many of his plans paralleling that of the ultimate Antichrist. 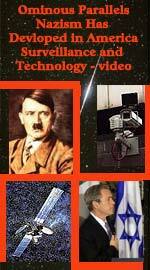 Much of the events that occurred during Hitler's reign will be repeated, only globally this time. But, I can hear many of you saying, "but wait a minute. Hitler publicly announced his intentions to kill Jews, Christians, and other 'handicapped' people. Is there a similarly announced program accompanying the New World Order? I haven't heard of any such plans." I am so glad you asked that question. Most people do not realize that New World Order Plans call for a dramatic reduction in the population of the world, in the span of only a few years! Many of their writings teach that, once their Christ arises, he will have to "cleanse" the world of all handicapped people and of all those who will never be able to accept the claims of the New World Order Christ. Their plans parallel Biblical prophecy to a degree that will shock you!! Right now, the current campaign to legalize deathmaking is strongly and effectively arguing that a person has the right to enlist the aid of a physician in order to commit suicide if they do not want to keep living -- for whatever reason. And, the American people are being so persuaded. This was the same first step taken in Germany in the early 1920's, a step which caused the German doctors to mentally cross the invisible line between using medical knowledge to heal or to kill. Already, this Oregon "Right-To-Die bill contains two of the most important elements so critical to the successful implementation of human Holocaust in Germany. * In cases where a comatose person cannot communicate their desires for Euthanasia, that person's family and attending physician can make that decision for them. * The above scenario is expanded by submitting a person's case to a panel of physicians; in Germany, the number of physicians on the panel was three. In the above bill, the number of physicians required to sign off on a person's desire to die is only two. Step 4 -- Suddenly, concerned people will be talking about deaths that do not make sense to them. In other words, a loved one has unexpectedly died, and the medical reason given does not make sense to them. At this point, America has arrived at the point Germany did, where doctors are taking it upon themselves to decide that a person is "life unworthy of life" and has killed them by misusing medical technology. After the death, they decide what medical term they could use for the death would make the most sense to the family. Step 5 -- Holocaust breaks upon the scene, as the Federal Government lends its support and resources to the effort. This final step will not occur until the planned charismatic leader arises and secures the blind obedience of the great majority of the public. He will arise; he will be called "The Christ", and he will be another Adolf Hitler, adored by the people. Do not be deceived. These legal actions are occurring as the result of a well thought out plan to change the attitudes of enough Americans so that the planned Deathmaking in this New World Order can occur without a feared uprising of the public. Just as it occurred in Hitler's Germany. The infamous Six-Step Attitudinal Change Plan is at work here, very effectively so, and very invisibly! By now, you are probably thinking of other ways in which this Six-Step Attitudinal Change Plan is being utilized in our society today. And you are right! You and your children are being assaulted many ways, every single day. We encourage you to read NEWS1055 to see how many instances in our society that this insidious Six Step plan is being used to advance Deathmaking. Truly, we live in the days prophesied by the Apostle Paul. "BUT UNDERSTAND this, that in the last days will come (set in) perilous times of great stress and trouble, hard to deal with and hard to bear. For people will be lovers of self and utterly self-centered, lovers of money and aroused by an inordinate, greedy desire for wealth, proud and arrogant and contemptuous boasters. They will be abusive (blasphemous, scoffing), disobedient to parents, ungrateful, unholy and profane. They will be without natural human affection (callous and inhuman), relentless (admitting of no truce or appeasement); they will be slanderers (false accusers, troublemakers), intemperate and loose in morals and conduct, uncontrolled and fierce, haters of good. Truly, these events demonstrate the truth that we are living in the last of the End of the Age.